Winter weather is finally disappearing and “Fido” is looking for someplace to play and their owners are looking for greater Cincinnati bark parks to show off the family pooch. 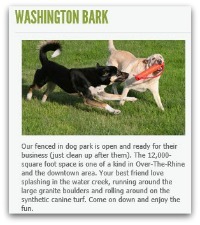 Bark parks in greater Cincinnati have quite a following and lots of sites dedicated to locations, off leash parks and dog friendly events. “Washington Barks” located in the rejuvenated Washington Park right in front of Music Hall in the heart of Over-the-Rhine attracts city dwellers and downtown visitors wanting someplace neat to walk their dogs. 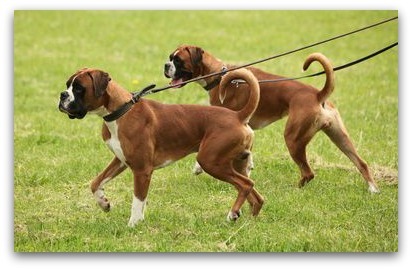 North of the city many locations, like Voice of America Park, have dedicated areas for dogs – Wiggly Field Park. And not to be outdone by normal neighborhood dog walking groups- MeetUp – lists several groups and places for dog owners to meet, greet and walk. So if you think Cincinnati is going to the dogs….you might be right. It’s a great place to live for everybody including man’s best friend. Just remember to be responsible and scoop up and leave no trace behind.